Before we went to South Africa there was a small part of me doubting whether it was going to be a good trip. 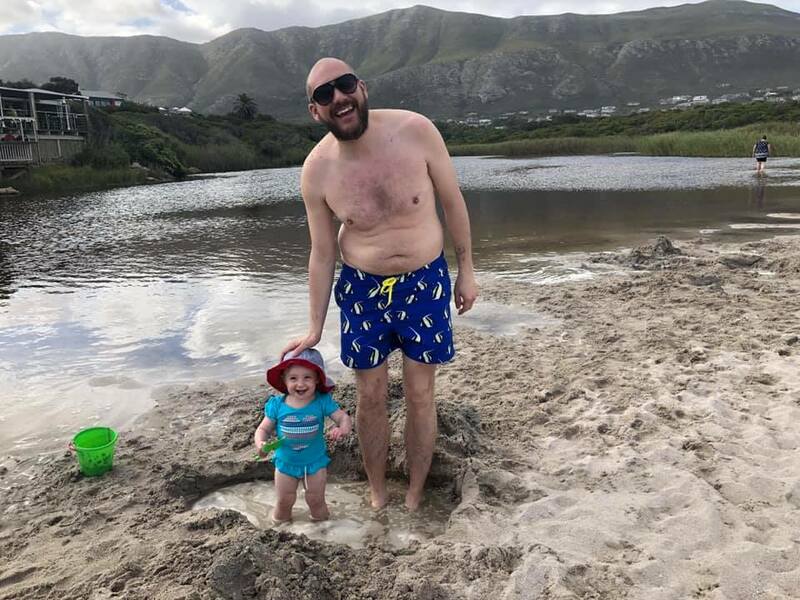 It's such a long way to go, we'd spent a lot of money on the flights and accommodation and let's be honest, it's not easy travelling with a toddler. But this holiday met all our expectations and more. It was relaxing even though we crammed a lot in. 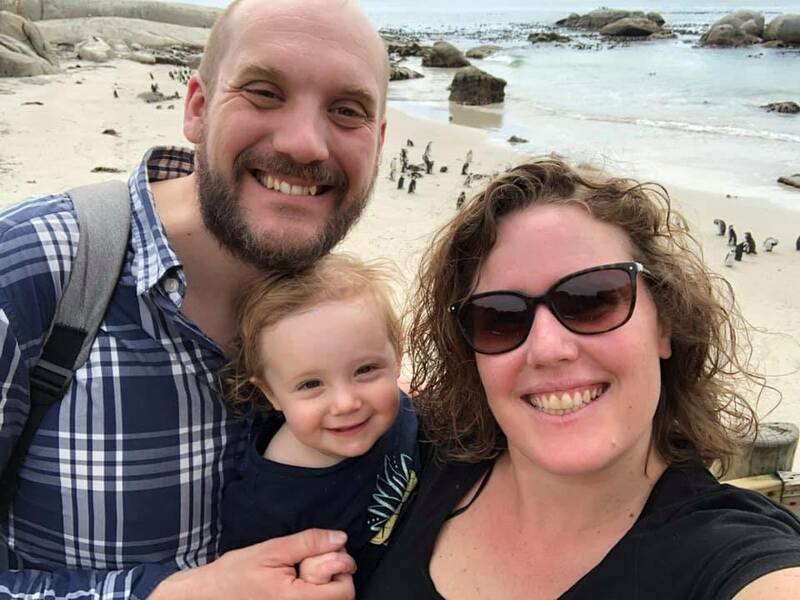 South Africa is such a beautiful country to explore and we barely scratched the surface, and the best thing of all was spending time together as a family. Watching Skye experience so many new things, and thrive with it all, was just amazing. It made me so proud to see how confident she was meeting new people (and penguins) and her physical stamina was so impressive. We spent the first part of the trip in Onrus, just outside Hermanus. It's a beautiful little place with a gorgeous beach, super friendly people and it was the perfect place to wind down and have some chill time. Skye loved being on the beach and it had a lagoon which was perfect for paddling and splashing in. Hermanus was also lovely. We visited a few times. Once was to go for lunch at a restaurant called The Pear Tree where we had a really tasty meal. It was recommended by my sister and another friend. They were great with Skye too and brought us a babyccino when we first got there which she loved. We also had a super quick visit to the Whale Museum. We were there out of whale season so no chance to see actual whales but it was cool to lean about them and go inside the model submarine. I would love to go back for whale season. The coastal path along the cliff top was my Hermanus highlight. It was really beautiful and very peaceful. It was actually really safe for Skye too which I had been worried about. We did have a joke at one point because there was this amazing looking bar built into the clifftop and there were people there enjoying a drink in the sunshine which made us think wistfully back to our childless days when we would have done the same. While we were in Onrus we also got to visit Fernkloof Nature Reserve which was great. The paths are easy to navigate with small people, although not with a buggy. We forgot to take our carrier with us but Skye just wanted to walk most of it which was cool. We stopped by a 'waterfall' which was actually more of a trickle but still nice. The views were great even if it was a bit cloudy that day. I also loved the gardens AND most of all, seeing real-life baboons!! We didn't spend too much time in wine country but we did have a couple of lovely days up there. We went to family Sunday at Blaauwklippen Wine Estate. There was live music, an amazing food market, an inflatable assault course and trampolines for Skye and a market selling local crafts . (I managed to resist spending loads of money on things I wouldn't actually know what to do with by the time we got home!) We loved it! We also got to visit Franschoek and a couple of its vineyards. Babylonstoren, which had been recommended by a couple of friends, was really beautiful. The gardens just smelt so fresh and full of life. 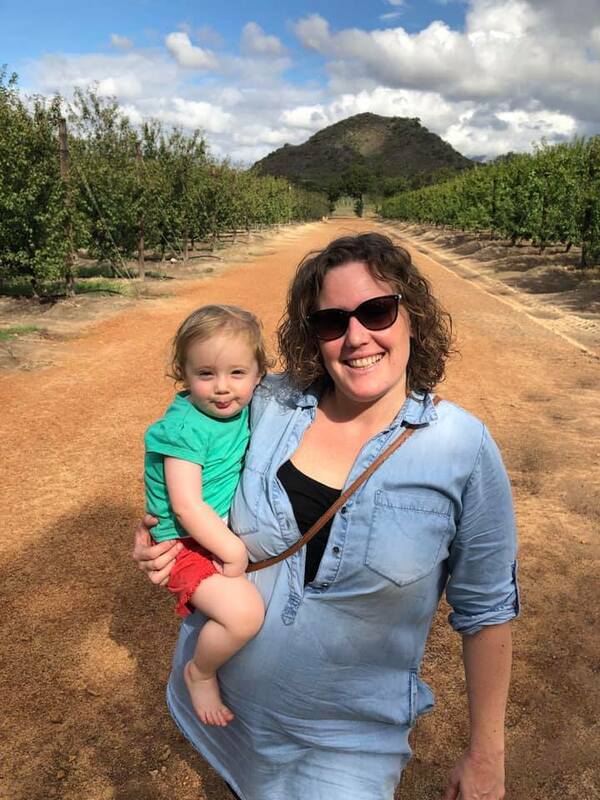 I would have liked to spend longer there and in Franschoek generally but wine drinking and toddlers aren't the best of combinations so we'll have to save that for another trip. Cape Town is a brilliant city to be on holiday with young children. It's easy to get around by car. There's lots to do that is toddler friendly and people are so welcoming to children so you never feel awkward about having noisy small people with you. We did all the typical things such as go up Table Mountain and take the trip out to Robben Island, visit the Waterfront and Bo Kaap. 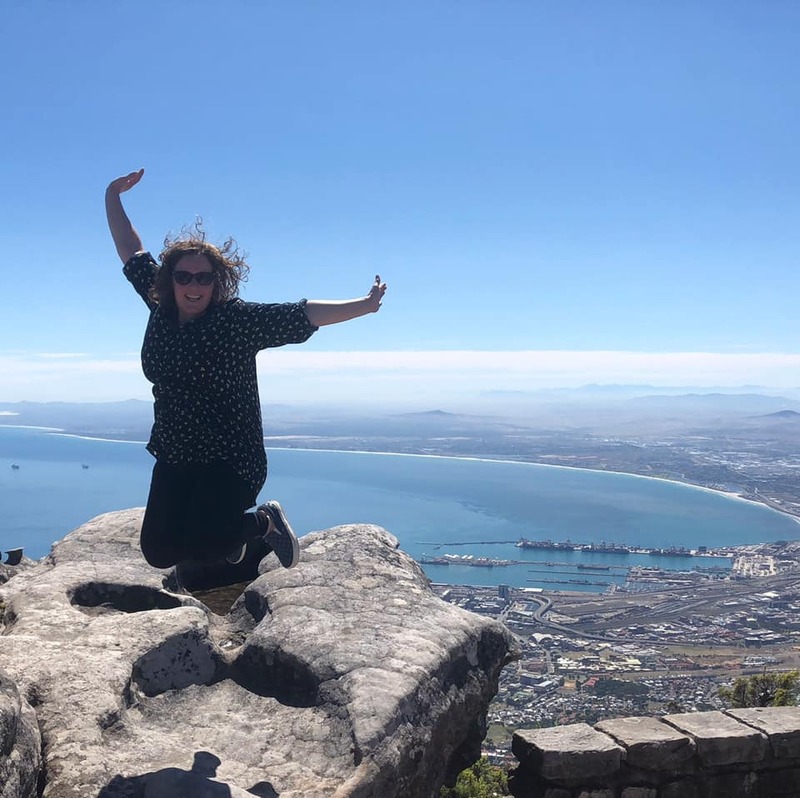 Table Mountain is as stunning as I knew it would be and we loved soaking up the atmosphere in Bo Kaap and the city centre. The Waterfront was great too. We whiled away the best part of a day wandering, enjoying a boat trip and eating nice food. My favourite day was our trip to Simon's Town and Boulders Beach. 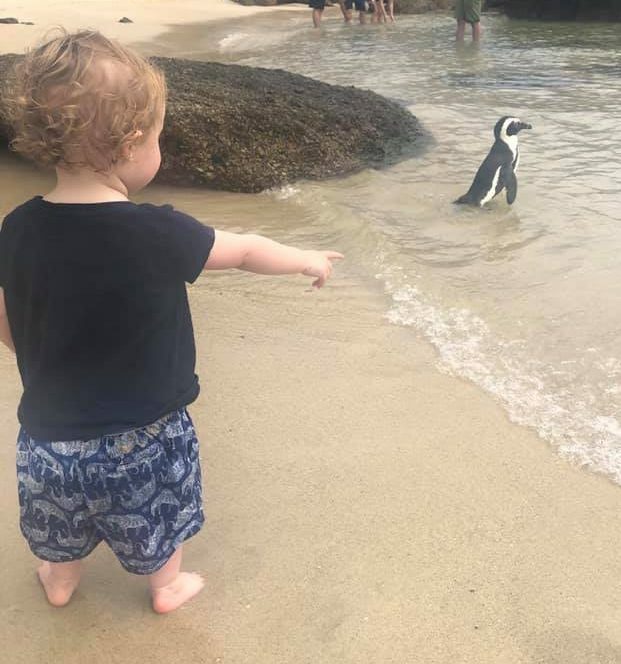 Being able to get that close to penguins was very cool. Watching Skye chase a penguin into the sea was funny and not so funny at the same time. She's such a monkey! I loved our lunch on the waterfront at Simon's Town too. It was sunny, there was music, the fish was delicious! I was in my happy place. Afterwards we drove Chapman's Drive and got icecreams from a gelato van in Camp's Bay. It was a great day. We spent our last day soaking up the sunshine and the beauty of Cape Town's botanical gardens. It was the perfect way to end the trip before the mega night flight home. I definitely could have stayed longer and had more time putting off reality for the fun of holidays. Time to plan the next one now!